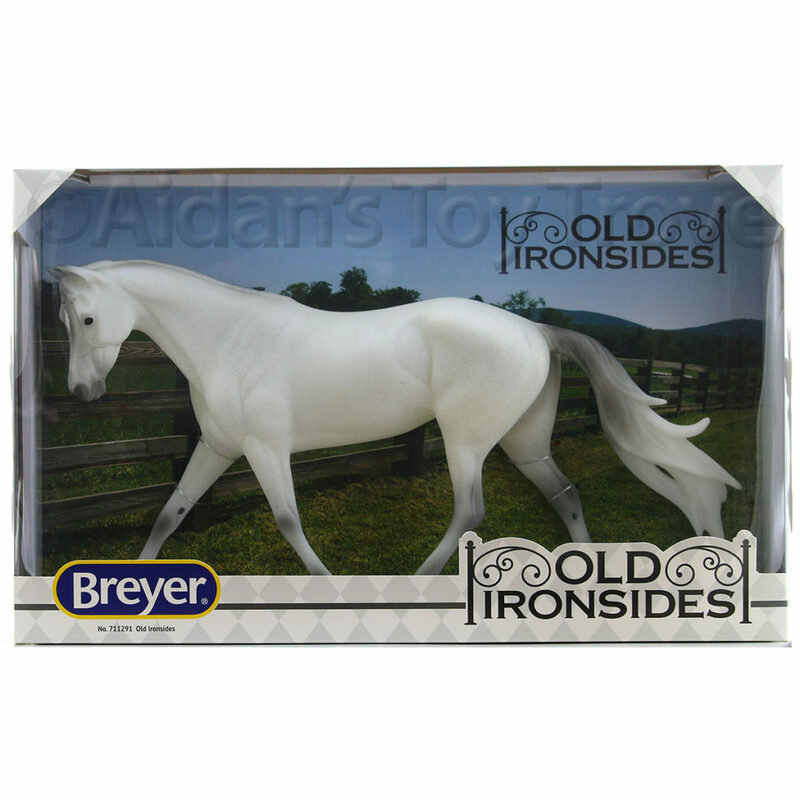 For those of you that don’t know, Breyer will send you a free replacement base for your Breyer Horse. You just need to email or call and ask for one. Sometimes it takes a bit of persistence. Having said that, I think that I have have exceeded my ‘free base’ quota. 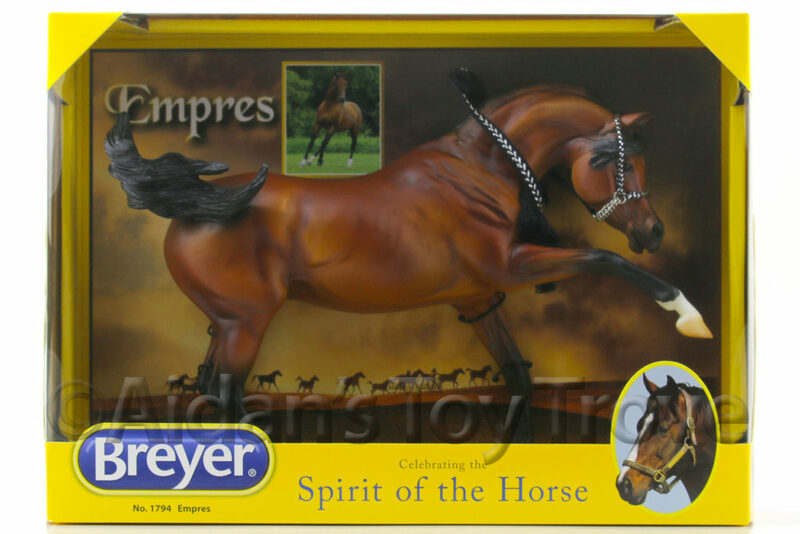 As I buy and sell so many Breyer horses, I have received a lot of free bases and I don’t want to abuse the generosity of Breyer. Now there are a couple of gotchas. 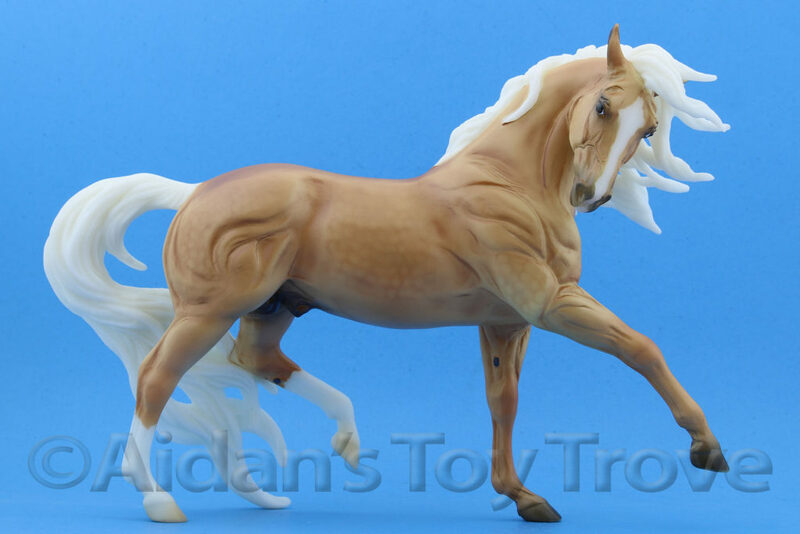 Breyer will basically send you a base to make your horse stand. 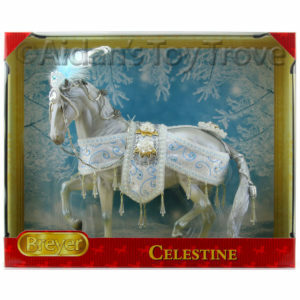 To my knowledge, they will not send decorative bases like those seen on the Ethereal Horses. 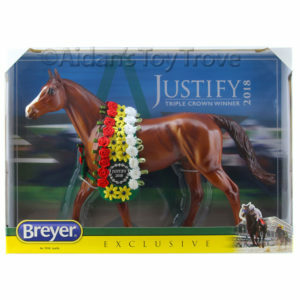 Some of the stands that Breyer will send you include the disc bases for Salinero & Huckleberry Bey, Ruffian’s base and the base for the Show Jumping Warmblood . I’m sure there are others, but these are the ones that come to mind. 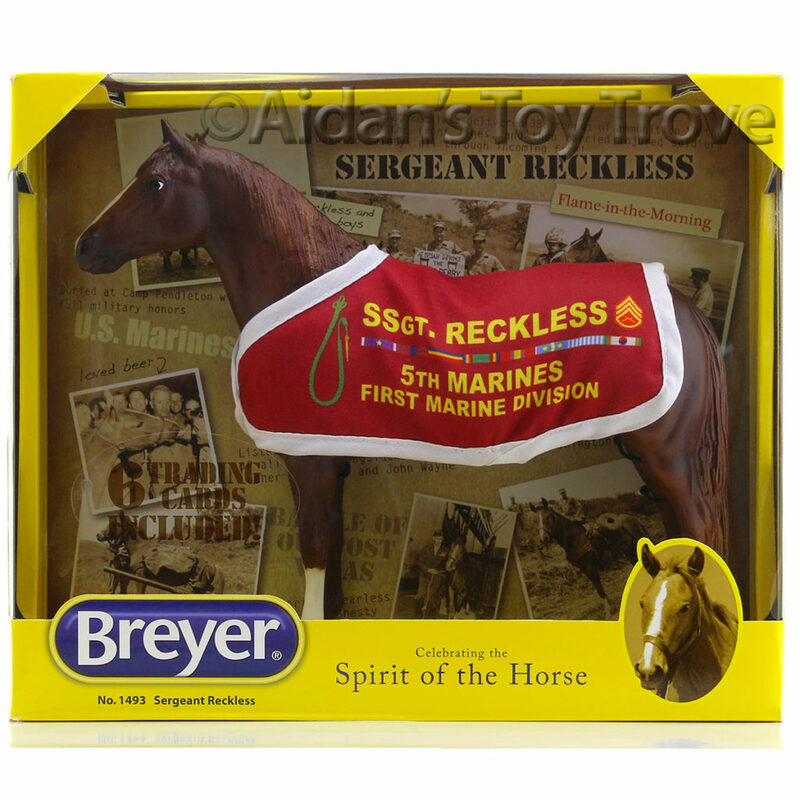 You also may not receive the exact same design that your Breyer was issued with. 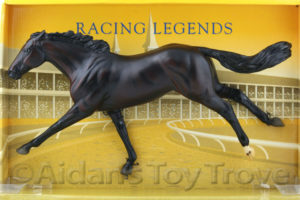 For example, the current run of Ruffian is the Breyer 1757 American Pharoah. 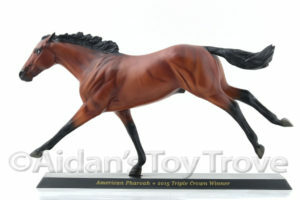 American Pharoah comes with a Black base with his name written on it. 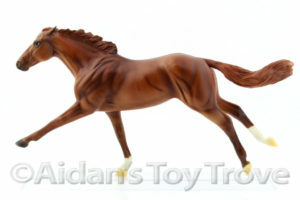 Let’s say you are missing a base for you Breyer 1329 Rags To Riches. 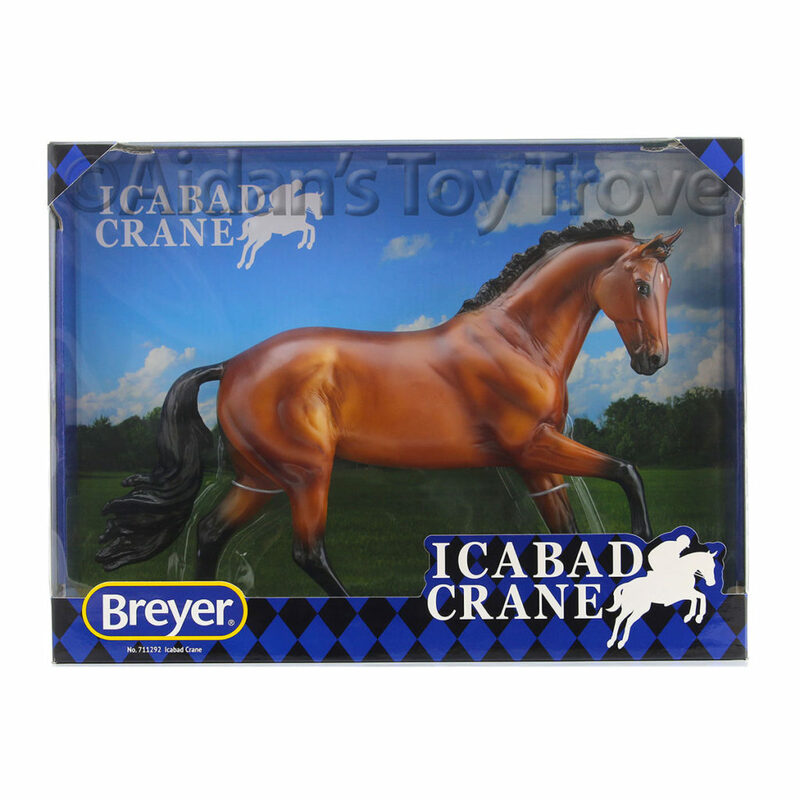 You request a replacement base from Breyer. 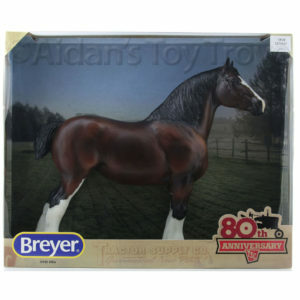 Breyer will send you the base that they currently have on hand. This might be the black base that was designed for American Pharoah or it might be the more common clear base. 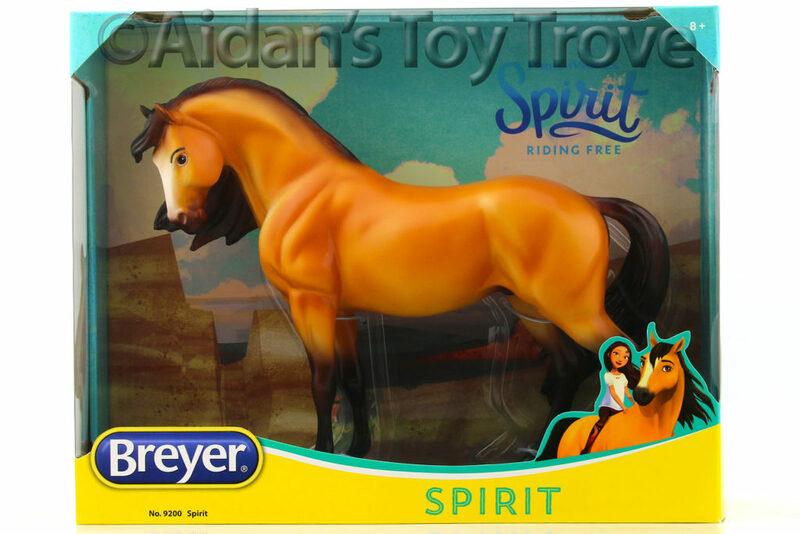 Conversely, let’s say you have a Breyer 1757 American Pharoah that is missing his base. 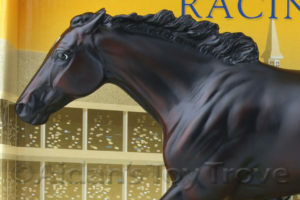 You might receive the black base that was designed for American Pharoah or you might receive the more common clear base. 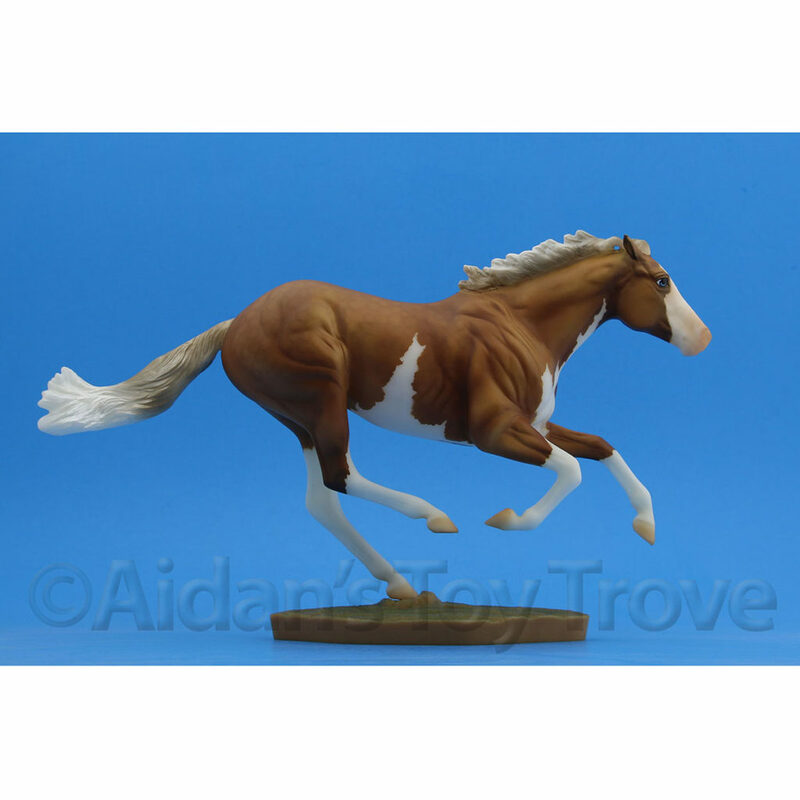 Breyer does not stock bases in large quantities. I tried purchasing replacement bases but that was a no go. 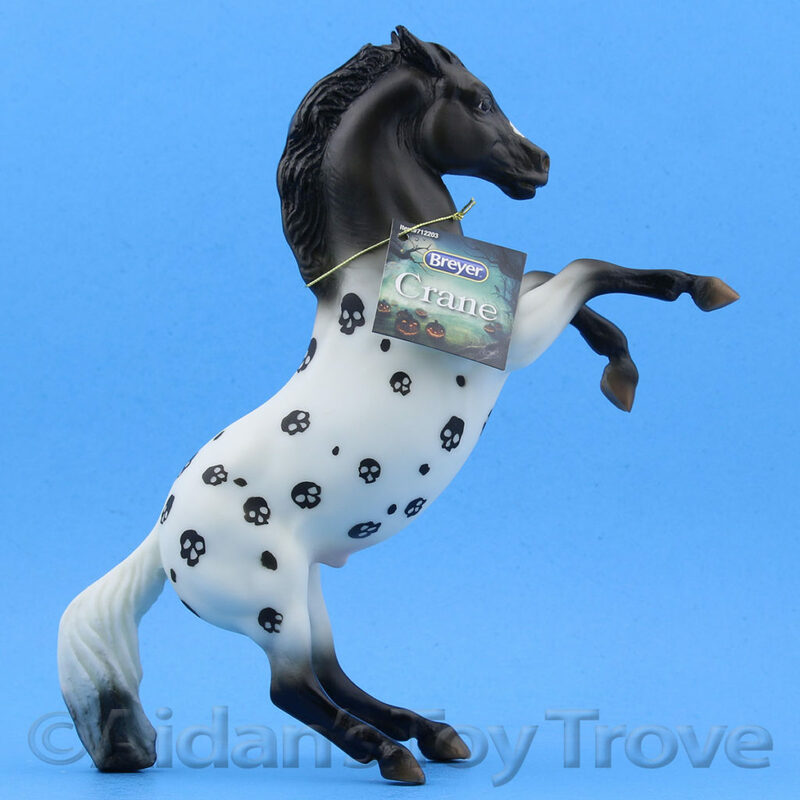 Today I listed a still tied in the original box Breyer 597 Ruffian. 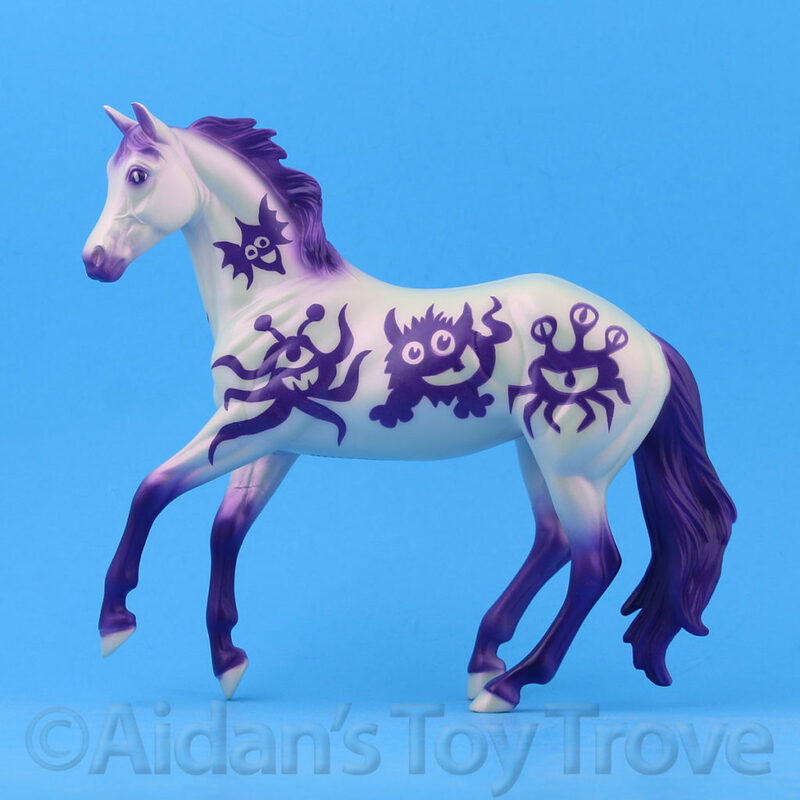 I purchased her from an artist that only wanted the horse for the base. As such, Ruffian is missing a base but is still in her original box. 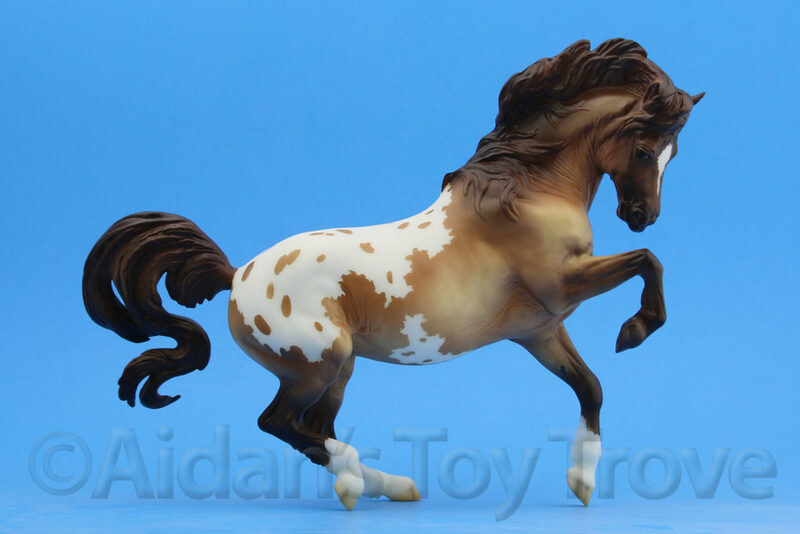 This is a great chance to get a Ruffian at a discount because she is missing her base (which you can get for free!) How’s that for a win win situation?